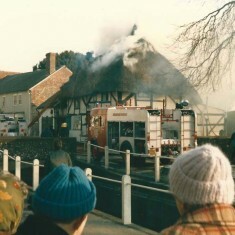 Fire at White Cottage, with spectators. 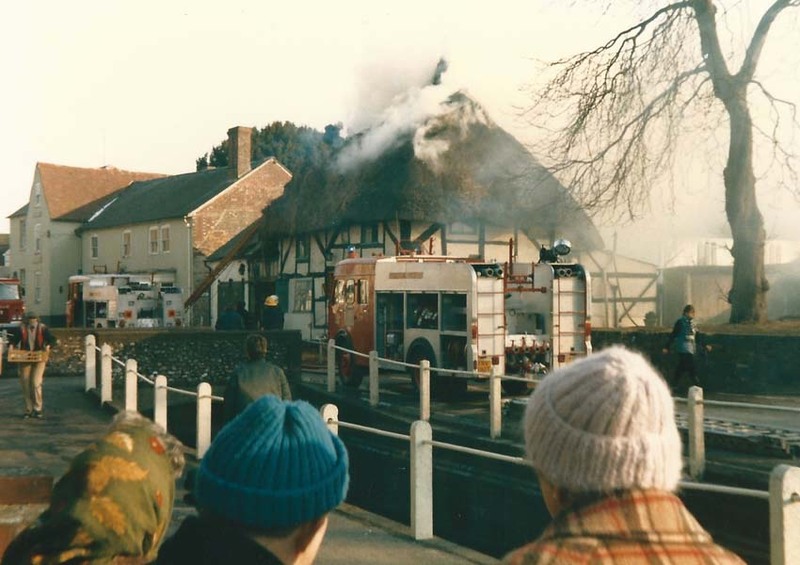 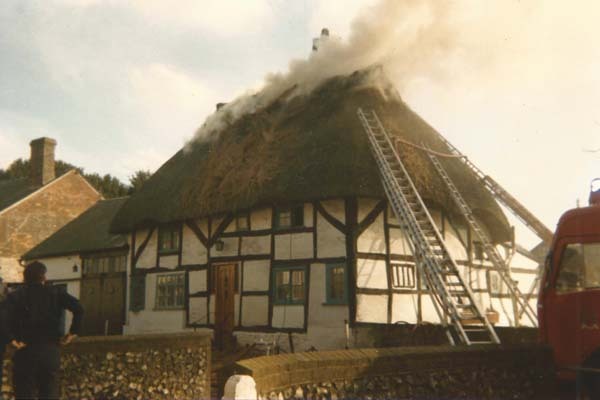 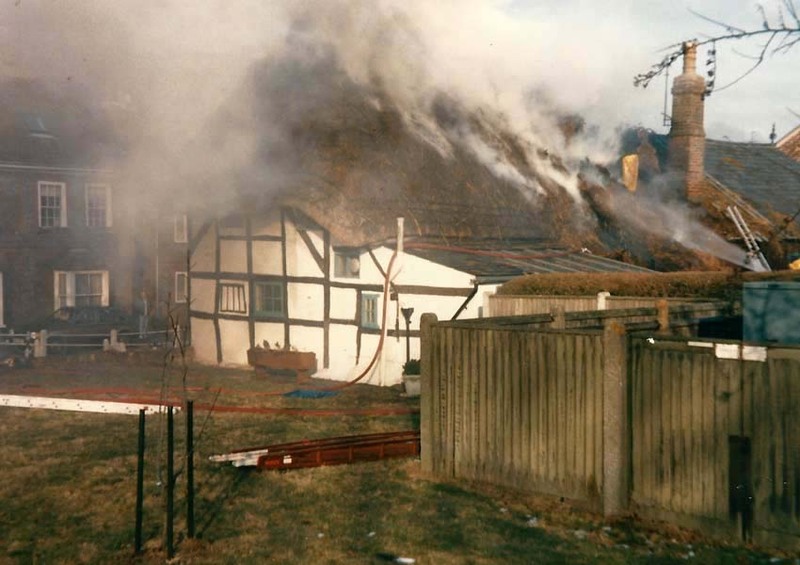 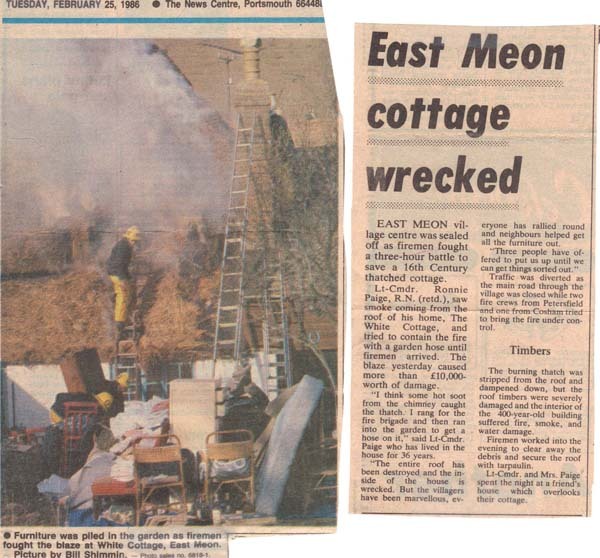 In February 1986, the thatch of White Cottage caught fire and and Commander Ronnie Page, the sole resident, was helped by neighbours to rescue his possessions. 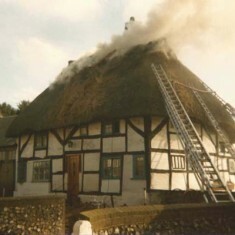 The cottage was later restored. 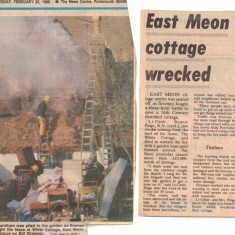 Newspaper article by Portsmouth News, photographs by Frank Wheeler.